[A summary of my chapter in The Historical Web and Digital Humanities. 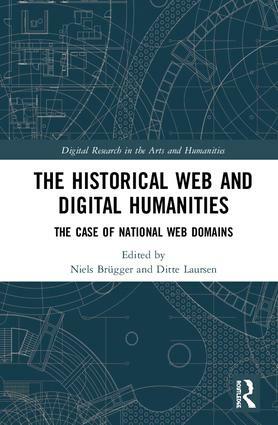 The case of national web domains, edited by Niels Brügger and Ditte Laursen. The writing of modern history has often depended on a stable idea of the state; on the idea that persons have some form of citizenship, a legal identification with a political unit. Even if they may hold more than one, each citizenship may stand on its own without legal ambiguity. Another fundamental assumption is that geographical space (at least on land) can usually be clearly divided into units under unified and monopolistic systems of law and government. To elaborate an insight of Max Weber, in order for a state successfully to enforce a monopoly on the use of violence, it must first know where its boundaries are. Scholars have also been interested in the interactions between states and their peoples across borders, but still (by and large) supposing a fixity in those states at any one point in time. Studies of migration presuppose a point of origin and a point of arrival. Printed publications may circulate freely, but their publication is still governed by a national legal framework; something similar may be said of television and other broadcast media. In most cases, the task of defining a national web domain has begun with one or more country code top-level domains (ccTLD) even if it has not ended with them. Here I examine the nature of the .uk ccTLD as a proxy for the UK web by means of a case study of the web estate of the Christian churches in Northern Ireland. The society of Northern Ireland is marked by an interlinking of religious and national identity, which may be unique in Europe if not in the world. 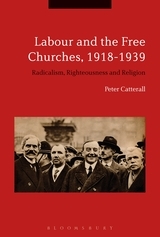 The chapter uses publicly available data, and including that provided by the British Library, to reconstruct the link relationships between churches in Northern Ireland, examining the regional, national, and cross-border relationships that they imply. Due to its very particular religious and political history, Northern Irish society has been characterised by an exceptional sensitivity to symbols, to history, and to place. How far has that sensitivity to space and symbol been transferred online? Amongst the churches, Catholic and Protestant, in a province where the symbols of national identity have such prominence, does the location of a website within or outside the .uk domain carry any symbolic weight? Might those churches most associated with unionism be more likely to register in the UK ccTLD than Roman Catholic churches? Based on the patterns of domain registration for the churches of Northern Ireland in 2015 and 2016, it would seem that Roman Catholic congregations were likely to register domains outside the UK, a finding broadly in line with the initial hypothesis. However, the converse – in relation to the Protestant churches – is not borne out; no particular prioritisation of registration within the UK ccTLD is evident in the data. Both conclusions point to important areas of future research on the nature of national webs, and the limitations of the ccTLD as a proxy for them. If organisations that might be expected to want their web estate to reside within a particular national domain do not in fact register their domains there, it suggests that the ‘gravitational pull’ of the ccTLD is weaker than might be supposed. The second half of the chapter takes the case of one of the Protestant denominations in Ireland in order to investigate the mapping (or lack of it) between the nation and the ccTLD. It recreates the networks of links between individual Baptist churches on both sides of the border, and asks: are these link networks influenced by the fact of the ccTLD, or are there more geographic and cultural factors in play that determine their shape? It is based on an analysis of the .uk link graph for the period 1996-2010. I conclude that although less than half of the Baptist web in Northern Ireland is registered in the UK ccTLD, the links between churches show in fact a very tight geographic concentration on the domains of churches in the eastern counties of Antrim, Down and (to a lesser extent) Armagh. Detailed local studies are needed to establish why this might be the case, although some lines of enquiry might be advanced. Is this a representation of a wider divide between rural and urban churches, or a reflection of the greater resources or perceived influence of churches in certain areas, particularly Belfast? Or is the prominence of certain individual churches merely the product of their particular local circumstances and understanding of their role? For whatever reason, the link graph shows little sign of sentiment regarding the common identity of all the Baptist churches in Northern Ireland. These churches are linked together in a single organisation, the Association of Baptist Churches in Ireland: what evidence is there of link networks in the archived web that might reflect a sense of an all-Ireland identity? Approximately a quarter of Irish Baptist congregations are located in the Republic. What of the links from churches in the north to those in the south? The link graph connects only four Northern Irish congregations to twelve in the Republic, a very small proportion. Little all-Irish sentiment is to be detected in the northern Irish Baptist web. Why might that be? Is the weakness of link connections between north and south characteristic of all churches in Northern Ireland, or only the Protestant churches, or is it unique to the Baptists? Is the network particularly weak in the Baptist case because of the relative weakness of its national organisational structure? These questions could in part be answered by the application of the approach used here to the web estate of the other churches. More generally, a history of the web is required that also asks what it is that causes the human actors in control of websites to link to others. A substantial project of oral history interviews and fine-grained examination of individual websites is needed to understand the communicative strategies organisations adopt and their evolution over time. That said, I show what may be observed at a distance with a new kind of data. Macro-level analysis of the web such as this offers an additional tool for historians and other scholars to deploy alongside their existing methods. The chapter has also pointed out a particular challenge that historians and analysts of national webs face. In the Baptist case, a network of links that is very tightly geographically concentrated is at the same time spread across four different TLDs. Studies of particular web spheres such as this are so far very few. However, if the kind of pattern I have outlined is at all typical of other web spheres, it suggests that for web archivists and scholars alike the ccTLD is a weak proxy indeed for the national web. In addition, it brings into sharp relief one of the structural disadvantages of the division of world web archiving activities into national programmes. Though many web archives collect national material beyond their ccTLD, no organisation has any statutory responsibility to archive the non-geographic domains such as .com and .org as a whole. Unless and until it becomes possible to access web archives on a transnational basis, scholars will continue to work with fragmentary and non-commensurable data from several archives to reconstruct the national web.